737 bodies are made in Kansas and rolled on special rail cars to Everett Washingon, where the tails, wings and engines are added. 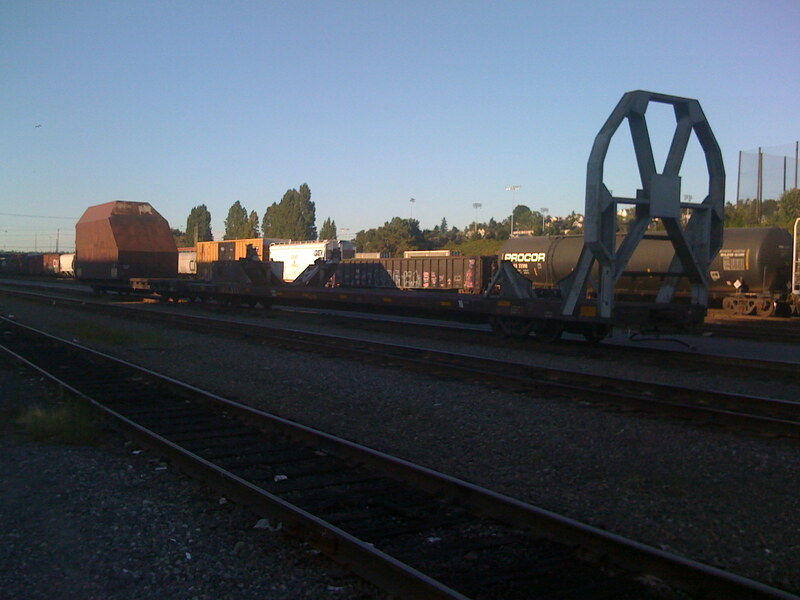 One of my well-worn Seattle bike routes goes through a railyard where I had observed these strange “Do Not Hump” rail cars sitting unloaded before and wondered what the heck they were for. Well. 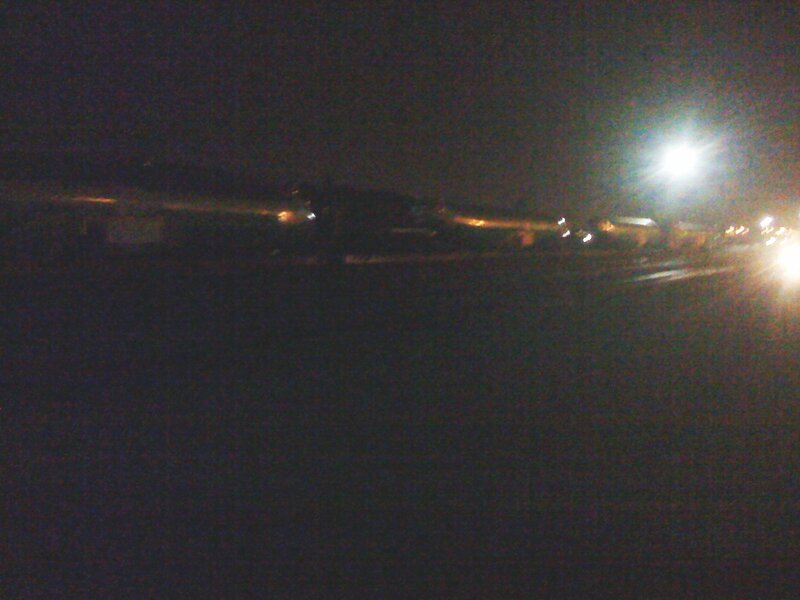 Last night all was revealed when I witnessed four, count ’em one-two-three-four, 737 bodies, just sitting there, hovering above the rail cars by their cradle brackets. Each of the bodies must have been worth at least twenty million dollars. I could have walked up and touched them, or peeled off the tape around the orifice plugs and climbed inside. An eccentric fellow who hangs around there explained to me how the Boeing people have to carefully inspect the bodies for bullet holes upon arrival, one square inch at a time, because rednecks along the way like to shoot for the windows. 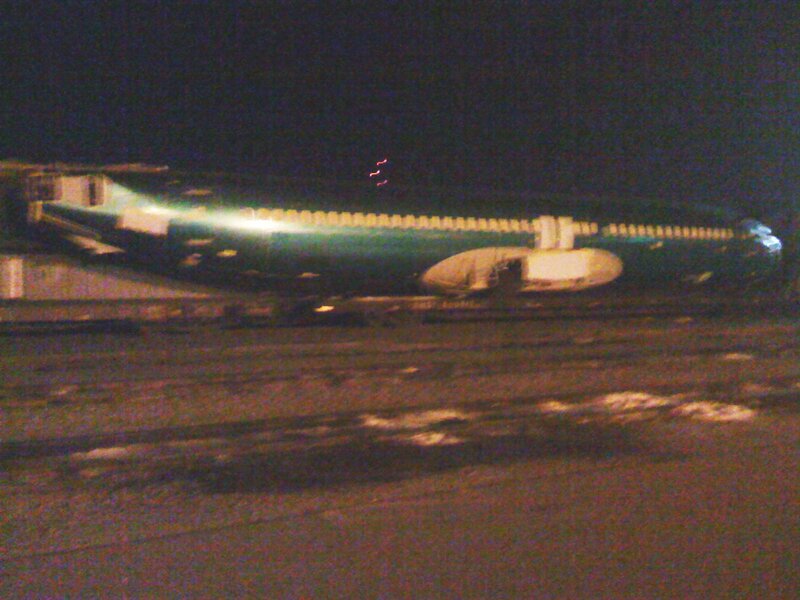 Here's one of the 737 cradle cars sitting unloaded. I took this picture (yay iPhone!) two days later, and thus the better light. There are two brackets. A first one grips the landing gear in front, and a bigger one halfway back bolts onto the fuselage as if it were the wings. The steel "fence" in front whacks away bushes and stuff, and the big box in the back must be for... uh... for carrying other bits that go along with it. Four 737 bodies, assembled in Kansas, at the Magnolia railyard awaiting final transport to Everett Washington, where they'll be joined with their wings and tailfins. 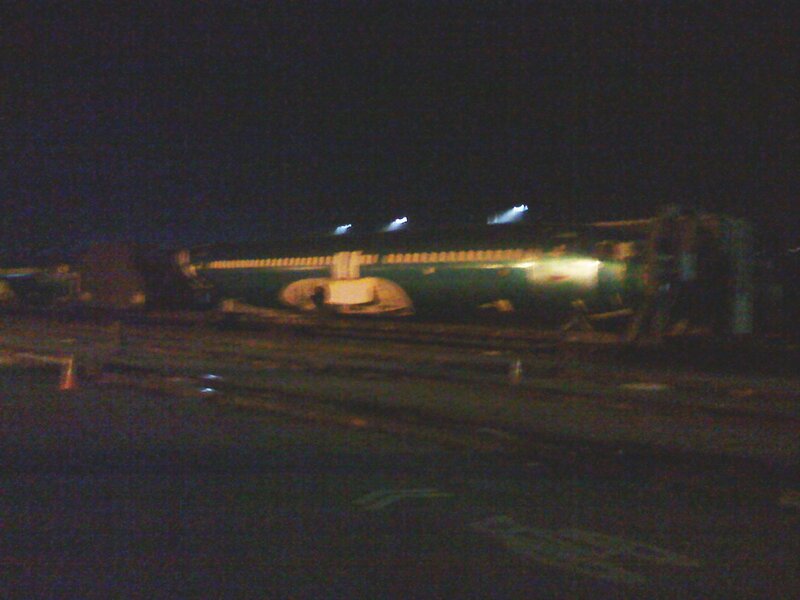 Closer up on one of the 737 bodies sitting on its its special rail car. Notice the special-purpose black plastic plugs used to block various orifices over which other elements like tailfins or wings will later be bolted. Otherwise, critters will move into it along the way. Another angle on the same. Note the steel fence in front for whacking away what bushes and weeds grow into the rail car's path and prevent their whacking the 737 instead. This entry was posted on	September 9, 2008 at 8:18 pm	and is filed under pictures.